The new Campus of GUtech is the first green university campus in the Sultanate of Oman. The design of the Campus combines the excellence of a German University of Technology with Omani traditional building features. 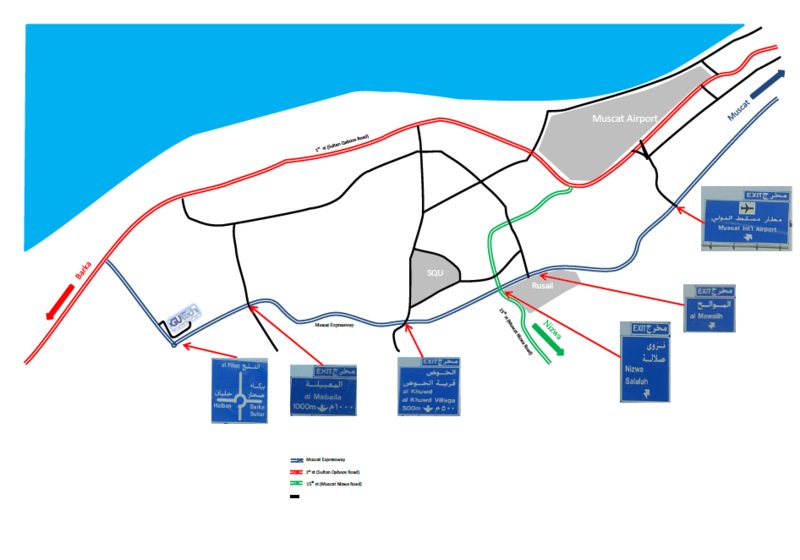 The location of the new Campus is right on the border between Muscat and Barka, and the new express way connects Halban with the Al Batinah region. Seeb is the most populated area in Muscat, whereas in the Al Batinah region it is Barka. The city of Barka is one of the historic cities on the coast of Oman. It was an area of export and received products from the neighbouring Wilayats to be shipped to India, Basra and East Africa. Reminders of the prosperity of these times include Al Na`man Fort, built by the Imam Saif bin Sultan al Ya`rubi (Qid al Ard), who planted 30,000 palm and coconut trees around its walls. Al Sawadi beach, in the Wilayat of Barka and about twenty kilometres from Barka itself, is one of the Sultanate`s most popular and attractive beaches. Barka has a popular fish market and will be the home for the planned Main Railway Station. The lay-out of the campus is based on a grid with perpendicular axes. The main axis is defined by the connection between the main entrance and the main building. The vertical axes are destined for specific purposes: One axis is meant for industrial settlements like research departments of companies, spin-offs from GUtech or combined research activities between GUtech and industry. The next axis contains the buildings for different faculties, whereas the third one is dedicated to facilities used for social activities such as student clubs, faculty club, gym or other social gatherings. All the other axes are reserved for accommodation for students as well as for staff. The whole plot is surrounded by service roads so that several side entrances are possible. The main building represents the focal point of the campus. It is a quadratic building with a side length of around 84 m with an inner quadratic courtyard with a side length of about 46 m which is shadowed by movable tarpaulins. For cooling purposes, for example, the Main Building of the university campus is built according to the wind direction. Most of the seminar rooms and some offices will face shaded green courtyards with water fountains and thus create comfortable temperatures. housing quarter, with a common courtyard as a place to meet and communicate. The distinctive building density takes into consideration traditional Omani architecture, which was formed by the necessity to create a cooling microclimate. Shaded areas on campus invite students and staff to spend their time between and after the lectures and to relax. A Museum of Islamic Science will be erected opposite to the Main Building in the near future. Prayer rooms for male and female staff are located in the Campus at designated areas. The Amphitheatre located in the centre of the Main Building is used for big events as well as a relaxation zone for the students with open access all day. The Campus comprises of three main entrances secured by guards. All areas of the Campus are supervised by security guards. Muscat is the capital of Oman and is often described as “Arabia’s jewel”. About one million people live in the Metropolitan Area, which is considered the heart of the country. The city is flanked by the Gulf ofOman on the one hand and by the rocky Al Hajar Mountains on the other. A big effort has been made in trying to preserve Muscat’s historic character by carefully combining its cultural heritage with contemporary styles and architecture. Where on one hand old Muscat and Mutrah have an ancient charm about them with many forts, castles, mosques and souqs (markets), modern Muscat shines with high-rise business properties, exclusive suburbs, museums and world-class hotels with beautiful beaches. Within the city of Muscat there are quite a few sights worth visiting e.g. The Mutrah Souq, The Grand Mosque, and The Royal Opera House Muscat to mention a few. Besides using your own car, you can also take the hop-on hop-off Big Bus Tour to make sure you don’t miss out on any of them. With no doubt the main attraction in Oman is the outdoors. Travelling around the countryside will lead you to beautiful wadis, scenic viewpoints, and adventurous trails, as well as the magnificent dunes of the Sharqiya Sands. The book titled “Oman Off-road”, describes different routes with varying degrees of difficulty. It can be purchased online or acquired from the larger shops and supermarkets like Carrefour. The various small cities and villages nearby are worth visiting and will reward you with ancient forts, beautiful scenery and traditional markets. Oman is also a leading diving destination with beautiful underwater landscapes, marine life and fine coral gardens. One can see a lot while snorkelling, as most of the coastal waters remain unaffected. You can find quite a few dive centres in and around Muscat and some of them also arrange trips to the beautiful nature reserve of the Daymaniyat Islands. Within a 30-minute drive from the university you can reach Sawadi Beach, which is a great place for water sports as you cannot only arrange for snorkeling or diving trips, but also book kite surfing, kayaking, water-skiing, jet-skiing and wakeboarding. 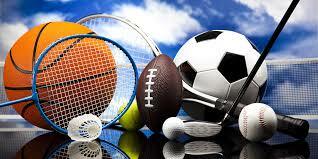 For information on special GUtech rates please contact our Sports Office. Malls – The two most popular malls in Muscat are the Muscat City Centre in Seeb and the newest and biggest mall of the country, Muscat Grand Mall (MGM) in Ghubra. In both places you can find popular fashion shops, electronics stores, jewellers, various dining outlets and Carrefour Hypermarkets. In addition, Muscat Grand Mall has a cinema. Capital Commercial Center in Qurum, to name just a few. Souqs – Souqs are traditional marketplaces that can be found throughout the country. They are great places when it comes to buying handicrafts or souvenirs, some examples nearby are the Muttrah Souq, the Fish Souq near the port in Muttrah, or Seeb Souq. Don’t forget to bargain though.